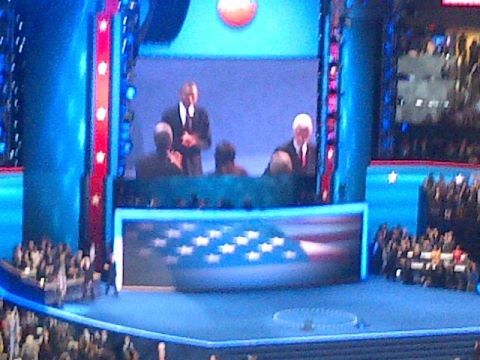 Well folks another interesting night - our 5th out of 6th of all the conventions. One more to go! Please join us all day tomorrow here at the live blog, and especially in prime time while you watch CNN, starting at 7 p.m. ET. We'll keep this blog going, get your comments and serve as your second screen companion for the night. Thanks for joining, and we'll see you tomorrow. Los Angeles Mayor and 2012 DNC Committee chair Antonio Villaraigosa on stage: "Only one man can nominate but we can all second," says Villaraigosa as crowd cheers. And now Alice Germond, the Secretary of the Democratic National Committee, conducts the roll call of delegate votes. The GOP convention did their roll call vote at the beginning of their Party's convention on Tuesday of last week earlier in the evening. "Alaska is the home to more military veterans than any other state," a delegate notes, casting 24 votes for Obama. A popular speaker at Tuesday's Democratic Convention..."Nuns on the Bus" organizer Sister Simone Campbell says the Romney-Ryan budget is not consistent with Catholic faith. The granddaughter of Barry Goldwater casts the 77 Arizona votes for Obama. 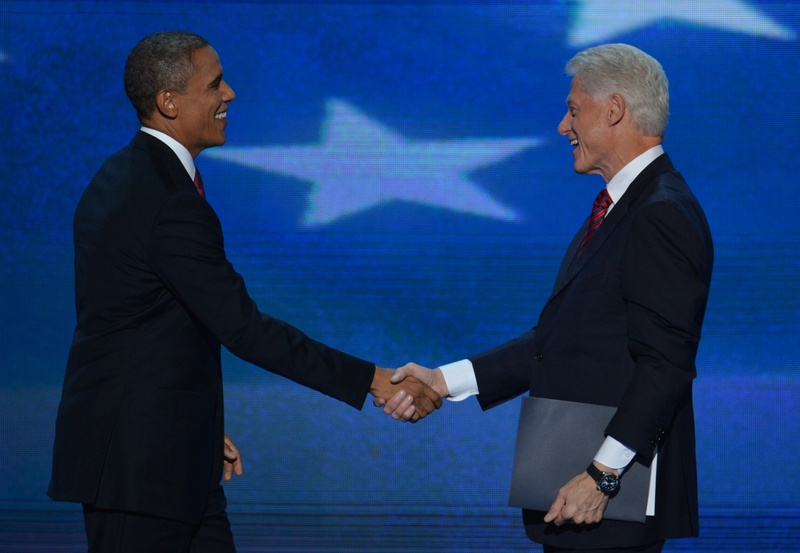 Arkansas, home to tonight's headlining speaker and former President Bill Clinton, casts all 55 votes for President Barack Obama. Sen. Dianne Feinstein, Sen. Barbara Boxer, and House Democratic Leader Nancy Pelosi team up to cast California's 609 votes for Obama. Message from Day 2! 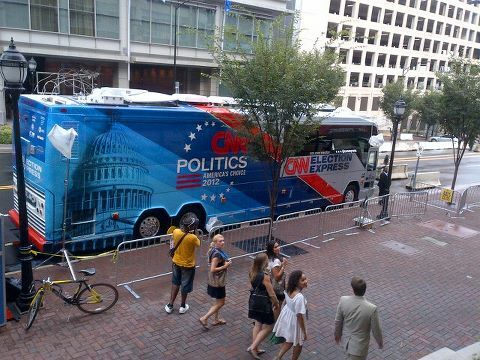 #DNC2012: Democrats open for business. It happens, right @Ferretmorgue ? RT @RobLowe Watching one of my fave films Jerry Maguire. It's SO brilliant you actually root for an agent. Clearly, the Presidential debates need to be held to content, policy, and the candidates. The host needs to both frame the debate and hold the candidates responsable for answers and truth. If I only hear how much someone loves freedom, THE MODERATOR IS NOT DOING THEIR JOB. Okay, heading back to the arena--it's stopped pouring! Charlotte Mayor Harvey Gantt is introducing an in memoriam video featuring Democrats who died in the last year. Republicans showed a similar video featuring passed GOP figures at their convention last week. 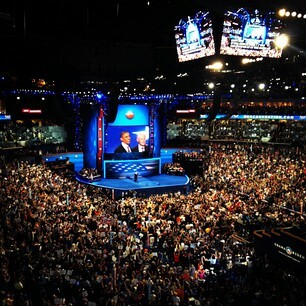 Following Wednesday's contentious voice vote to accept alternative language including references to God and Jerusalem to the Democratic Party Platform, CNN's Suzanne Malveax and Belief Blog Co-Editor Eric Marrapodi talk about the role faith is playing at the DNC. Rep. John Lewis from Georgia, speaking now to the Democratic convention, tells a personal story of North Carolina during the civil rights moment: "We are a different society than we were in 1961 and in 2008 we showed the world the true promise of America when we elected Barack Obama." Lewis transitions from a moving story about his experience in the civil rights movement to criticizing the GOP over voter ID laws. "Today it is unbelievable that there are Republican officials trying to stop some people from voting," he says. "Too many people struggled, suffered, and died to make it possible for every American to exercise their right to vote." Playing now at the Democratic National Convention: "Stronger Together Video: Don't Ask Don't Tell"
Iraqi war veteran Jason Crow addressing Charlotte's convention praises President Obama for ending "Don't Ask, Don't Tell" and criticizes Mitt Romney for not mentioning troops in his big address to the GOP convention last week, a popular Democratic line of attack following the Republican contender's speech in Tampa. "In the biggest speech on his life. Governor Romney didn't mention our service members even once," said Crow. 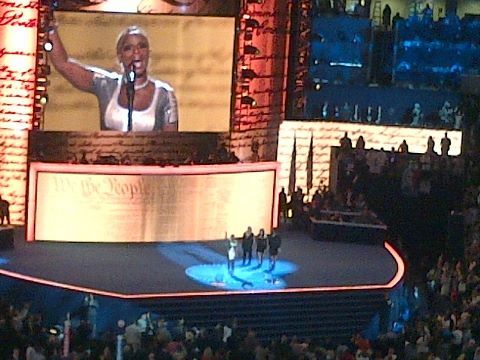 Mary J. Blige: Let's turn this into "a family affair" and get it crunk for President Obama. The president will set a goal of creating 1 million new manufacturing jobs over the next four years and doubling exports during the next two years. Arena floor entrances closed. Soooo, no leaving, even to go the restroom. We get off the air at 12. This'll be interesting. Chair of the Democratic National Committee and US Representative from Florida Debbie Wasserman-Schultz is speaking now. A combative Democratic surrogate for President Obama, Wasserman-Schultz takes a softer tone telling a story about her fight with breast cancer: "Today, I stand before you as survivor... no family should go broke just because a mom gets sick," and quickly pivots to the offensive, "When (Romney) tries to take away a woman's control over decisions that affect her health and reproductive choices and family, that's personal," she says. Mary J. Blige says in an interview on CNN that she would grade Obama's presidency thus far as an "A" because "he is only one man." Obama recently said in an interview that he would grade himself an "incomplete."